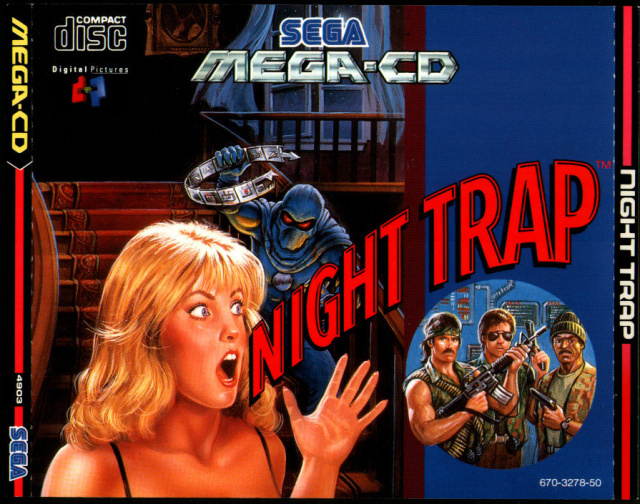 As you may already know, I’m an enormous fan of Night Trap, the 90s FMV game from Digital Pictures. They may not have delivered that product, but someone else has. Step forward Tyler Hogle, an indie developer who’s put together a working fan-made prototype of a mobile version of Night Trap for Android. The internet being what it is, I’ve seen a few folks on various forums and the like declaring it fake. Trust me, it isn’t. I know, because I’ve been playing it. Graciously, Tyler has given me a copy of his prototype and allowed me to capture some footage in the hope it’ll help spread the word that it exists, gather some buzz and get the rights owners to maybe, just maybe, agree to let him work on a mobile Night Trap game using the original high-quality footage (the prototype uses video from the 32X version). Here, then, is my hands-on video preview of Tyler’s fan-made Night Trap mobile prototype. Spread the word and help make this happen!